The Plaintiffs in the class action case involving claims false advertising and unfair competition over automatic renewal of magazine subscriptions found a new spin of this often litigated dispute over search terms: a motion to compel the Defendants to produce all responsive ESI, regardless of whether it was a hit or not to search terms. Price v. Synapse Grp., Inc., 2018 U.S. Dist. LEXIS 155637, at *2-3, *17-18 (S.D. Cal. Sep. 12, 2018). The Defendants were willing to produce responsive ESI with customer information redacted. However, there was a dispute over the meaning of a section of the ESI Stipulation. The disputed section stated, “ESI that is known to a Party to be responsive to a discovery request or relevant to the subject matter of this action may not be withheld on the grounds that it was not identified as responsive by the protocol described in, or developed in accordance with, this Order.” Price, *19. This provision resulted in the fight between the parties’ production duties. 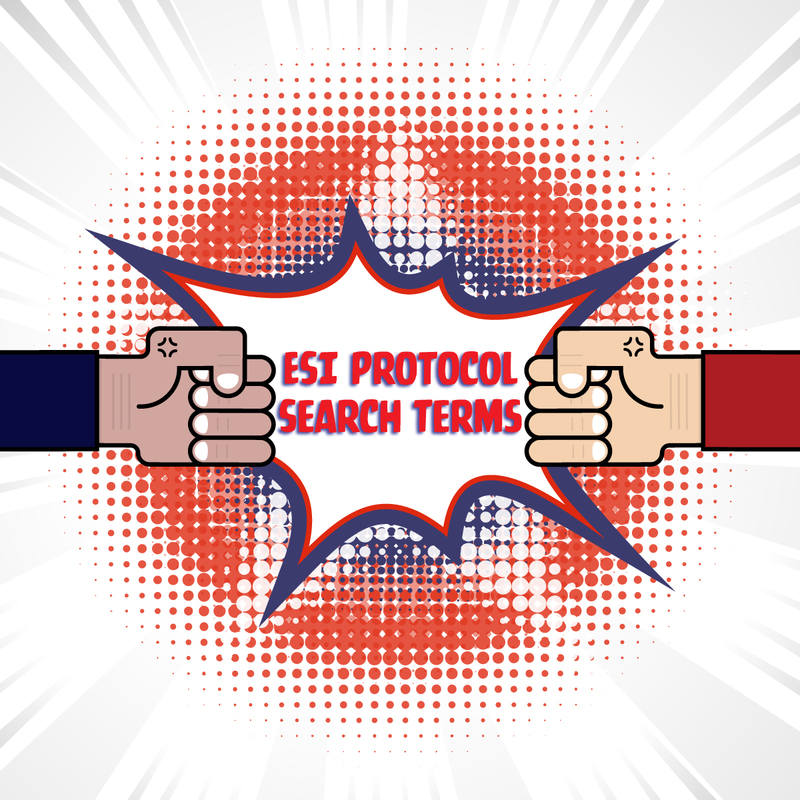 The Plaintiffs claimed the Defendants “were likely” to have responsive ESI, thus were obligated to produce ESI that custodians in a specific division were aware of, whether or not the ESI was ever a hit to search terms. The Defendants balked at this position, claiming it would require them to interview every custodian in the case and “obliterate” the need for the ESI Stipulation. Price, *18. The Court reversed itself on the specific provision of the ESI Order, because the term “known” was vague based on how the Plaintiffs were trying to apply the provision. Under the Plaintiff’s logic, the Defendants would have to interview every employee to identify responsive ESI the custodian knew about for production. The Court explained they parties had agreed to custodians and search terms to identify responsive ESI. As such, the Court denied the motion to compel, but was concerned with the Defendants were not producing responsive ESI. If the Plaintiffs believed ESI was withheld, they were to meet and confer with the Defendants and could file another motion to compel. Price, *20-21. Lawyers excel at finding new and exciting ways to fight over words. If parties in a large and complex case develop an ESI Stipulation, it is usually to focus on the merits of the case in a cost-effective manner. In the above case, concerns over inadequate productions devolved into motion practice over the reading of a stipulation. Another strategy the Plaintiffs could have attempted was to challenge the adequacy of the Defendants’ production, highlighting the lack of ESI from specific custodians. The requesting party would have to prove the production is unreasonable in order to challenge the sufficiency of a production. If there were missing group of custodians, that would be a red flag a production was unreasonable. However, that was not the argument the Plaintiffs made to the Court. Time will tell if there is a “part 2” to this case.